Explanation: Jewels don't shine this bright -- only stars do. And almost every spot in this glittering jewel-box of an image from the Hubble Space Telescope is a star. Now some stars are more red than our Sun, and some more blue -- but all of them are much farther away. Although it takes light about 8 minutes to reach Earth from the Sun, NGC 1898 is so far away that it takes light about 160,000 years to get here. This huge ball of stars, NGC 1898, is called a globular cluster and resides in the central bar of the Large Magellanic Cloud (LMC) -- a satellite galaxy of our large Milky Way Galaxy. The featured multi-colored image includes light from the infrared to the ultraviolet and was taken to help determine if the stars of NGC 1898 all formed at the same time, or at different times. There are increasing indications that most globular clusters formed stars in stages, and that, in particular, stars from NGC 1898 formed shortly after ancient encounters with the Small Magellanic Cloud (SMC) and our Milky Way Galaxy. Why don't globular clusters have any dark matter in them? Everything else does! Everything? Dark matter and galaxies appear to be strongly associated. Presumably that's a consequence of the mechanism by which galaxies formed, very likely seeded by dark matter. But we don't really know how globulars form, so the role of dark matter in that isn't understood, either. And a small percentage of globular clusters do appear to have dark matter halos. Being embedded in a galaxy there would be dark matter passing through them in general. I'd ask how likely they are to hog enough of it to be detectable as a halo above the background. Why are there only blue and red lights sended from the stars? why no green eg.? Right. Evidence to suggest that dark matter is inside you, me, the Earth, the Sun and other baryonic things doesn't exist. Some undetectable dark matter particles might be passing through us baryonic things, but if so they don't effect anything in any measurable way. Dark matter isn't into us. The "small percentage of globular clusters that do appear to have dark matter halos" could very well have been dwarf elliptical galaxies that have now been captured and incorporated into the Milky Way. Stars are thermal sources. That means they radiate light the same way a piece of metal does when you heat it up. A hot body emits light of all wavelengths (colors), but with different weighting. As we heat a body, we see red, then orange, then yellow, and finally a bluish white. In fact, the body may be producing a lot of green light (our sun peaks in the green), but the combination of wavelengths never appears green to our eyes. If you used a spectroscope to examine the light, however, you'd see that there is a green component. All the evidence suggests that dark matter interacts exactly as we'd expect with ordinary matter. That is, gravity works the same with all massive bodies, regardless of other properties. Indeed, it is by observing the gravitational attraction between ordinary and dark matter that we know dark matter exists. Dark matter is just that- dark- because it doesn't interact with the electromagnetic force. Since dark matter doesn't interact electromagnetically, there's no mechanism by which it could end up in the core of stars. Or in the core of galaxies. That's why we always see it as a halo. Presumably that's a huge number of particles which are individually in ordinary orbits around the combined center of mass of the ordinary/dark matter concentration. Our own Sun is "green". That is to say, its light emission peaks in the green or blue-green part of the spectrum. But it never looks green to us. On Earth, the Sun looks yellowish, because much of the blue light from the Sun has been spread out in the atmosphere, which is why the sky is blue. From space, the Sun looks quite white. All stars whose temperature and therefore light emission is similar to the Sun's look white in most astrophotographs. In order to look green, the stars would have to have a strong peak in the green part of the spectrum. 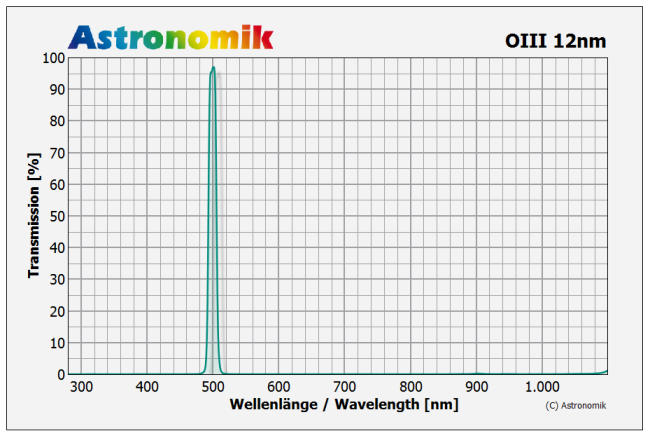 Planetary nebulas typically have a strong peak at around 500 nm due to OIII emission, which is in the blue-green part of the spectrum, and planetary nebulas often look greenish when seen through a telescope. But normal stars don't have such a peak and never look green in a well-balanced RGB photo. Your question assumes that dark matter is gravitationally attracted to ordinary matter. Is that true? If it was, wouldn't a buildup of non reactive dark matter gum up the works inside the cores of stars. Nor in the core of an atom though I might suspect its halo. If it doesn’t interact with ordinary matter perhaps it does share the same space. Sorry I have no evidence, but any space does seem to have unusual properties whether in atoms or galaxies. I also wonder if there could be various types of dark matter with unique “un”physical characteristics that influence forms of “light” matter. The unusual shape of electron orbitals might be my example. I suspect if there are any similarities it will show up in mathematics once calculated. Lot's of questions; few answers. But perhaps size does't matter. But dark matter does interact with ordinary matter. In order to look green, the stars would have to have a strong peak in the green part of the spectrum. Well, a great many stars do have a strong peak in the green wavelengths. Indeed, that is where they are brightest. The problem is that it isn't a narrow peak. Although there's a lot of green light, it's mixed with other colors, and that mix can never appear green to our eyes. Your question assumes that dark matter is gravitationally attracted to ordinary matter. Is that true? If it was, wouldn't a buildup of non reactive dark matter gum up the works inside the cores of stars? We know that, if dark matter exists, it gravitationally attracts ordinary matter, but is the converse necessarily true? Does dark matter fall toward small scale ordinary masses like stars and black holes? It seems that it would have to if it were just some kind of a mass-only particle. I don't understand the statements "there's no mechanism by which it could end up in the core of stars. Or in the core of galaxies." What about the "mechanism" of gravity? Please don't misunderstand what I'm getting at. I'm not suggesting that the cores of stars and galaxies contain anything other than ordinary matter, except for perhaps some transitory non-interacting dark matter particles that can pass through ordinary matter like neutrinos can. What I'm suggesting is that dark matter can't clump the way ordinary matter can (for whatever reason) and so it will not pool at the center of gravitational wells, ordinary or otherwise. Thank you lots for your answers! they were amazing. It makes good sense that dark matter wouldn't end up in the core of stars, because the cores of main sequence stars are well balanced between forces that push inward and outward. And stars don't generally act as gravity wells sucking up large amounts of matter from the vicinity. But don't the cores of galaxies attract quite a bit of matter? Perhaps not, due to the rotation of the discrete bits of matter of the disk and bulge, so that matter ends up in orbit rather than plunging straight into the core of the galaxies? We know that, if dark matter exists, it gravitationally attracts ordinary matter, but is the converse necessarily true? Does dark matter fall toward small scale ordinary masses like stars and black holes? Yes. Dark matter and ordinary matter interact gravitationally exactly like ordinary matter with ordinary matter, and dark matter with dark matter. Dark matter has no "special" gravitational properties. It has mass, and acts like anything with mass. It seems that it would have to if it were just some kind of a mass-only particle. I don't understand the statements "there's no mechanism by which it could end up in the core of stars. Or in the core of galaxies." What about the "mechanism" of gravity? Gravity by itself cannot concentrate matter. In order for that to happen, you need to have a mechanism by which orbiting particles lose energy. Otherwise they remain in exactly the same orbit, not one that decays into the core of stars or galaxies. After all, our planets don't all fall into the core of the Sun (at least outside of any extremely long time scale). They simply orbit, and that's what the material in dark matter halos is doing. It only "falls into" massive things to the extent that it follows orbits around those masses. Why do we get stars out of ordinary matter? Because that matter interacts with other ordinary matter via the electromagnetic force. That is the origin of friction and viscosity and all the other damping mechanisms that rob particles in close proximity of angular momentum and allow them to spiral inwards. But dark matter lacks that, so there is no concentrating mechanism. Thanks for that logical answer Chris. Interact may have been the wrong word. Containment might have been more appropriate. One type for the strong force and quarks and another for electro-magnetism and the weak force. And possibly another for gravity on a larger scale. Wild conjecture but I can help myself in imagining how the "dark" could relate to the universe in all its variety of size dimensions. The evidence is very strong that dark matter interacts gravitationally with normal matter just like normal matter interacts with normal matter. At all scales we can observe. It is uncertain if dark matter doesn't interact at all via the electromagnetic force, or just at a very, very small level (like neutrinos). At this point, it remains dependent upon largely untested theory whether dark matter interacts via the weak force (WIMPs, for instance, would) or strong force (WIMPs wouldn't).